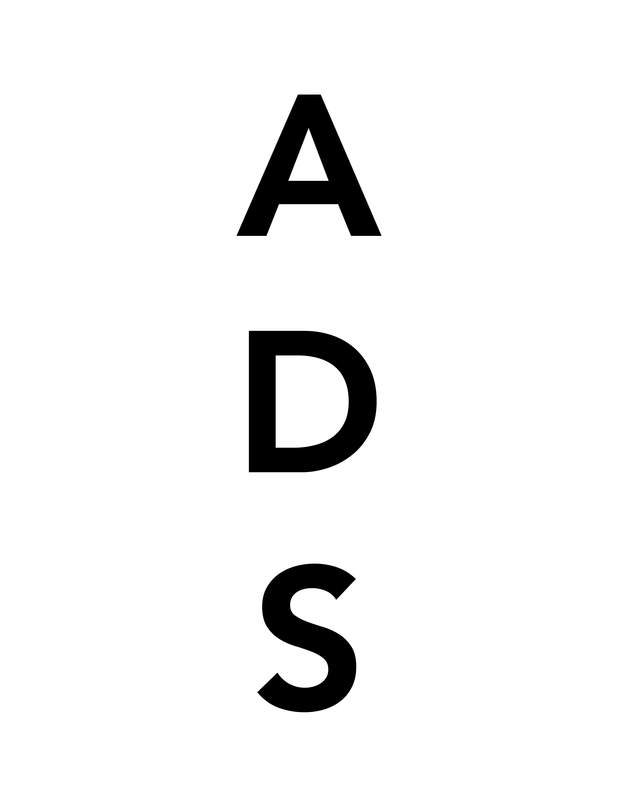 Galerie Eva Presenhuber, Zurich is pleased to announce two simultaneous solo shows by Ugo Rondinone and Doug Aitken. 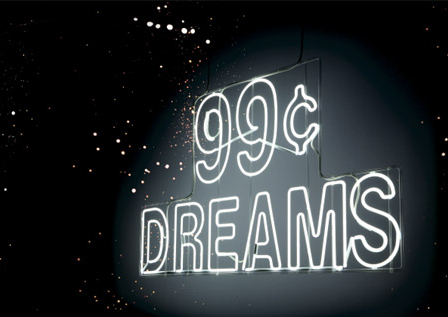 Both Rondinone’s “Twelve sunsets, twenty nine dawns, all in one” and Aitken’s “99¢ dreams” will run until August 2, 2008. While one artist creates sculptures and one photographs, there is a common thread between the two. Each artist touches upon the simplicity of day-to-day life, infusing a sense of longing or yearning for something. 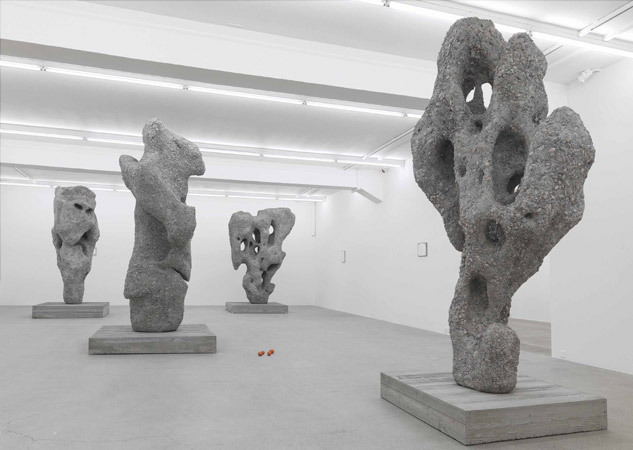 The larger-than-life sculptures of The Scholar Rocks are the center of Rondinone’s exhibition. In traditional China, Scholar Rocks are collected and admired for their naturally derived texture of holes, the results of erosion. The stones are used as decoration in gardens and in studies to provide contemplative focus. 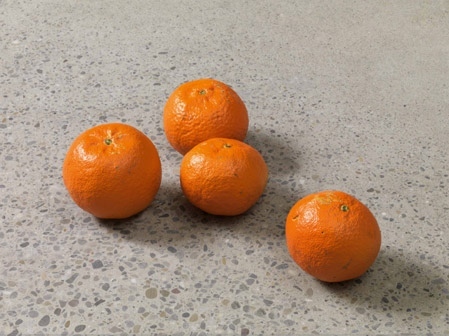 Rondinone’s Scholar Rocks are casts of the real objects, taken from China’s Tai Lake region, enlarged and covered in cement. They represent a condensed temporality and a yearning for spirituality. Rondinone carries the theme of a days work through his two other series- one being “Diary of Clouds” and the other his paintings. “Diary of Clouds” is another set of sculptures. These are first worked in clay and then cast to present allusions to the figures in the sky, but not any concrete objects. In his paintings, which stretch horizontally throughout the three spaces, he depicts uneventful moments. On the backside of each painting is a page from the New York Times of the day that it was painted. As with his series of clouds, the paintings are titled with the date of production. Doug Aitken, known for his video installations and projections, has created his solo show for Galerie Eva Presenhuber from only still images. 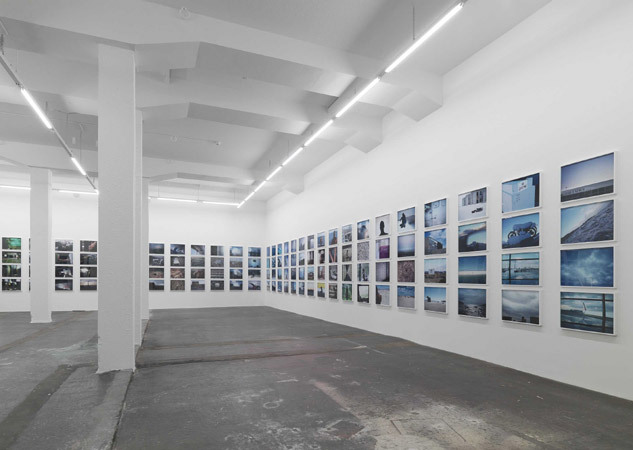 His two hundred plus – mostly unpublished – pictures are arranged on the four walls of the gallery from darkness and artificial light to gradual bright daylight. This shift in light keeps the viewer moving through these moody images pulled from everyday life. They are scenes that anyone can find anywhere. They range from an airport to a pregnant belly, a children’s playground to an escalator. They make for believable yet unmemorable moments that we can simultaneously believe to be Aitken’s story and our own. This entry was posted on Wednesday, July 23rd, 2008 at 10:52 am	and is filed under Go See. You can follow any responses to this entry through the RSS 2.0 feed. You can leave a response, or trackback from your own site.